Club sponsor for all programs. A new authentic Irish Pub in the Waterloo Region, Authentic menu and cold drinks. Great, cozy environment where everyone is welcome. Established in 2018. Waterloo County Rugby's AGM Sponsor A friendly and relaxed modern uptown bar in a post-industrial space with a nod to the area's bootlegger history; open for lunch Thursdays to Saturdays; entrance off Princess Street. 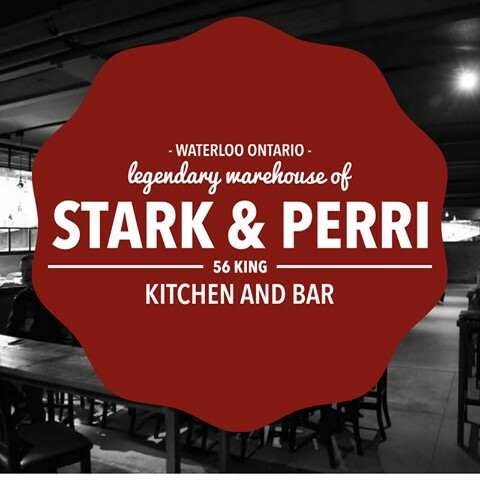 Stark & Perri is a good choice if you're looking for after-work drinks or a night out with friends; the bar features 24 beers on tap and creative cocktails, while the skilled kitchen turns out delicious food and shareable plates. Founded in 2009, Chainsaw is a hot spot in Uptown Waterloo. As the well known karaoke bar in Waterloo, many aspiring singers come through our doors to practice their singing skills on a regular basis! Beyond this, we hold a variety of special events from networking for small businesses to fundraising events for various fundraisers in the community. Chainsaw always has something on the go, be sure to come check it out!